The best way to get to know a community is by scheduling a tour. See the facilities, meet the staff and residents, and get a feel first hand what it's like to live at Hope N Care Assisted Living. 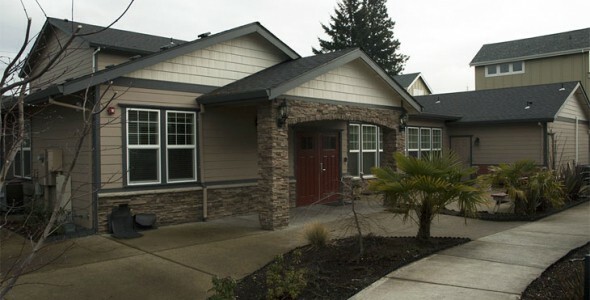 Hope N Care is a residential care facility in Southeast Portland, OR owned and operated by the Asa family since 1994. Residents enjoy life at Hope N Care because the Asas are here every day to ensure high levels of care and personal attention. A full calendar of social and cultural events ensure your parent ensure your parent maintains an active body and mind. Taking genuine pride in their work, the caregivers of Hope N Care strive to provide the finest residential care facility in the Portland, OR area. We provide everything your elderly parent needs. Hope N Care operates with a philosophy of care that allows aging-in-place, with more intensive services available as needs progress. We also understand that successful senior care and memory care rests with the way the caregiver treats the resident. We always respect our resident’s dignity by treating them with courtesy, patience and compassion. We offer Medication Administration for residents not using the facility pharmacy and a family meal plan for family members eating at our facility. Enhancing our resident’s quality of life is our number one priority!